GAFFNEY, South Carolina -- A single mother's Facebook post about how she plans to use her tax return to provide for her kids has gone viral. 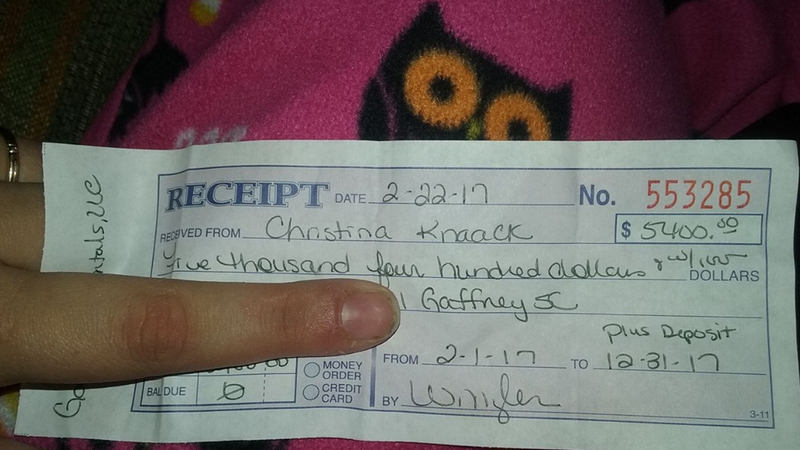 Christina Knaack, a single mom making minimum wage to support her two young children, posted a picture of a $5,400 tax return receipt, along with some inspiring words about her plans for the money. "Instead of buying my kids the latest Jordans or fancy electronics I paid my rent for the YEAR. I'm a single mom and I do it all buy myself on a minimum wage job. I kno [sic] that a roof over my kids head is what's important." Knacck wrote. The post has more than 25,000 comments, most of them positive. Knaack told FOX Carolina she is a single mother raising a 4-month-old and 2-year-old. "It's pretty crazy," she told FOX Carolina. "I was just sharing a milestone with my friends and family."